Galaxy TecnO are moving from the shop they have been in since October 2012. They are moving over the road to the shop previously used by Patisserie Pascal. I believe Galaxy TecnO have been interested in making this move for quite a while, and so it is good to see it has come off. They opened for business today, but continue to move the rest of the shop this evening. Galaxy-TecnO repair PCs, mobiles and tablets; buy PCs, mobiles, and tablets and sell refurbished devices; and sell PC and laptop accessories. 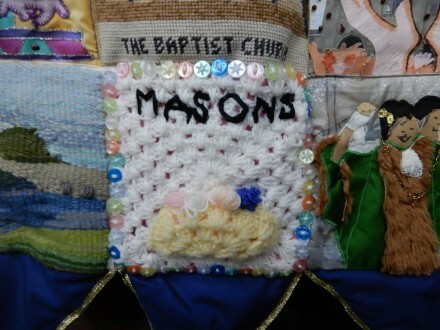 I take a picture of the patch from Mason’s Wool Shop in Stert Street. 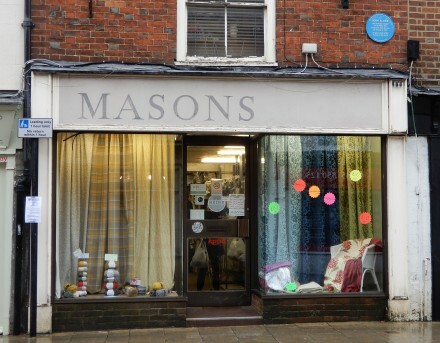 The first mention of Masons Wool Shop, in the Hooke’s Abingdon Directories, is in 1942. 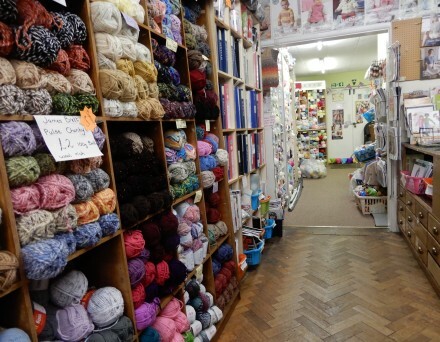 That must make it one of Abingdon’s longest running businesses, and older than the two Mason’s shops in Bath Street. Stepping inside the shop you first walk through an area displaying upholstery / curtain material, together with rolls of wipe-clean table cover material. There are also lots of buttons and other crafty things. Information about John Alder, with his picture, is displayed beside curtain runners, hooks, and cord ends. The assistants serve from a large wooden counter that is large enough to measure and cut material. But what is most unexpected is the tardis-like dimensions of the shop. It just goes on and on and on – with wool trailing away into the distance. One of NASA’s most experienced veteran astronauts, British born Dr.Michael Foale, will be in Abingdon this week. 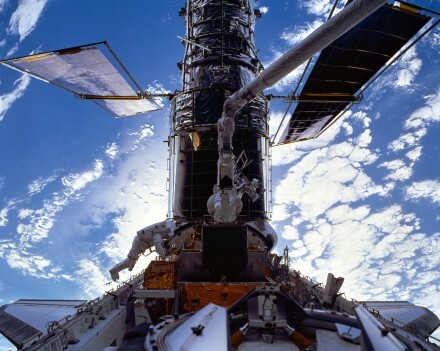 The picture shows him taking part in an epic eight-hour spacewalk in 1999 to upgrade the computer on the Hubble Space Telescope. The Hubble Telescope continues to bring images and discoveries eighteen years on. He will be giving a public lecture at the Amey Theatre at 7:30pm on Tuesday 30th January. At the last count (21:07 on 28/01/2018) there were just 16 tickets in the theatre upstairs and down. The countdown is on. There may still be tickets available from here. 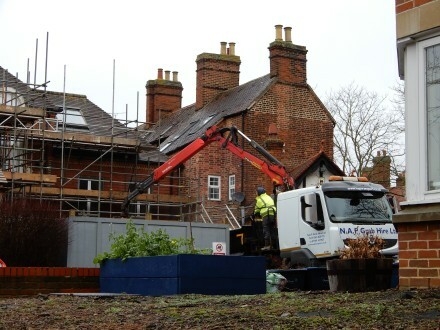 The building previously known as New Abbey Court is being converted from offices into a total of 32 flats. 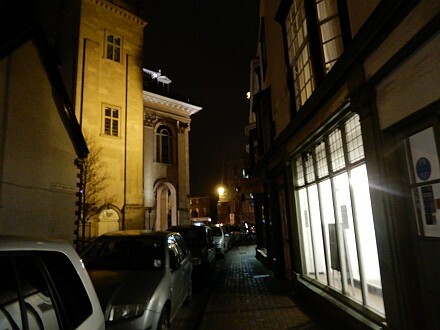 The original planning application for this building submitted in 2013 was more radical and involved a rebuild, and was objected to by a number of local people including the Friends of Abingdon Civic Society. The new plans do not change the look of the buildings apart from creating an additional entrance from Old Station Yard. 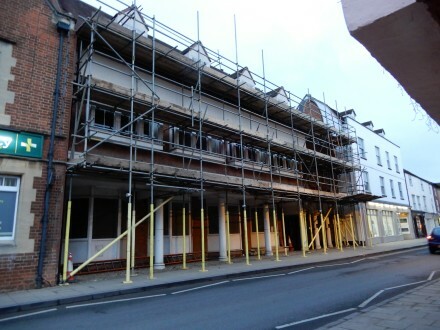 The scaffold has been put up to allow the external building to be given a facelift. 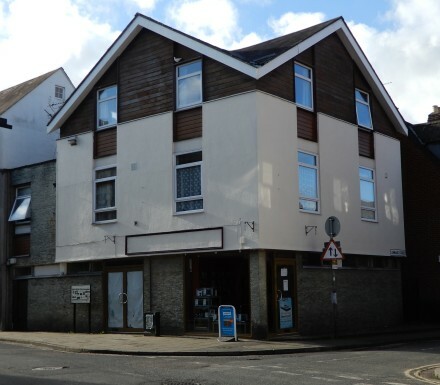 There will only be parking for three cars and so most of the new tenants will either not have cars or need somewhere to park in the town centre. The approved plans for 32 flats can be seen at P17/V2427/PDO. Some of the flats do look quite small – they start from 31 square metres. 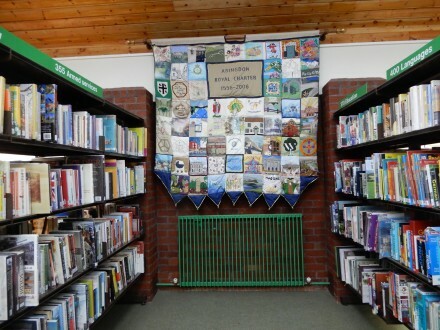 Further plans for the minor external changes were submitted earlier this month. New Abbey Court contained a number of offices round a gated courtyard, and was built in the mid 1980s, after 55-59 Stert Street were demolished. I believe The Abbey Press was at number 57 for some time; Burgess (Abingdon) Ltd were at number 55 until 1961. Then number 55 was converted to a shop called Deaney’s – possibly furniture. The Registrar and Public Assistance offices were at number 59 for some time.